The Turks are crazy about their nuts. Not only are a huge variety of nuts grown across Turkey but you can find that sweet, woody taste in many of the popular Turkish dishes on tables in restaurants and homes all over the country. Some of Turkey’s most popular foods contain locally grown nuts, such as the incredibly famous baklava of Gaziantep, which is created with the incredibly green pistachio nut cultivated in the fields and farms that surround the city. It is certainly the distinctive colour and taste of the Antep pistachio which has given locally made baklava it’s fantastic reputation all over the world. But it’s not just Turkish dishes which utilise the hundreds of thousands of nuts grown every year. If you want to relax like a local, take a bag of nuts to your local tea garden in Turkey and you will good to go, fitting in seamlessly. Turkey is the third largest producer of nuts after China and the US, supplying 8% of the globe’s nut exports. Hazelnuts are the most successful of the nut trade, with the Black Sea region of Turkey meeting nearly 80% of the world’s hazelnut needs. In fact, the Black Sea hazelnut, marketed across the world as ‘the miracle nut’ is so sought after that Italian chocolatier organisation Ferrero, the world’s largest consumer of hazelnuts, actually bought the world’s biggest hazelnut supplier, the Turkish Oltan Group to ensure that they never run out. Turkish citizens each consume an average of 3kg of nuts a year. Be it in a dinner dish, a breakfast favourite, as part of a sweet dish such as Turkish Delight or baklava or simply as an accompaniment to an afternoon glass of çay, the Turks can’t help but add this delicious food stuff to their diet. Of course they are utilising the fact that they have easy access to the freshest and most delicious nuts in the world, but there are also many health benefits to gain from snacking on this protein rich foods. Nuts have been proven to prevent coronary heart disease, they provide antioxidants and a high content of vitamins and minerals. They are also a rich source of energy, essential fatty acids and they don’t contain cholesterol. Most varieties of nuts can be found growing on the agricultural land of Turkey, alongside their delicious fruits and seeds, other staples of the Turkish diet. The most popular are hazelnuts and pistachios, but you will be in for a treat if you manage to find locally grown almonds, walnuts, chestnuts and pine nuts too. Even if you don’t happen to be in Turkey, consider ordering a stash of Turkish nuts online to add to your cupboards at home. The hazelnut has been considered a valuable source of nourishment since ancient times. Historically, hazelnuts have been grown along the Black Sea coast in northern Turkey since 300 BC and the Romans were huge fans, incorporating the delicious nut into their own meals. It was actually the Turks who introduced the hazelnut to Central Europe in 1582 when the plant was taken from Istanbul to Austria. It was this move allowed the species to be known as the ‘Turkish hazelnut’. Over the centuries, Turkey has become the world’s largest producer of hazelnuts and is internationally renowned for its high quality hazelnuts and the most important country in the world when it comes to the production and export of hazelnuts. Hazelnut farming has been the chief form of livelihood in the Black Sea region for centuries and now, more than 4 million Turks depend directly upon the production, marketing or processing of this product. Over 350,000 hectares of land in Turkey is dedicated to the cultivation of hazelnuts, most densely spread along the Black Sea coast. The orchards of the Black Sea extend up to 30km inland, making the most of the perfect warm and wet climate needed to perfect the growing of the popular nut. Approximately 598,000 tonnes have been produced annually, exporting 80% of the world’s hazelnuts. Turkish hazelnuts are known for their sweet, exotic flavour which is sweet and buttery but smoky, woody and rich with a distinctive texture and many health benefits. They are classified in two distinctive categories based on their crop location, level of skin separation and fat content percentage; Giresun Quality and Levant Quality. Giresun is known as Turkey’s hazelnut capital and the finest of the areas nuts grown in the town of Karakaya in the district of Tirebolu. They are regarded as the world’s best hazelnuts and their quality is specifically sought after in the world market. Even the general directorate of FİSKOBİRLİK, which is the world’s greatest hazelnut foundation is based in Giresun. Fındık Fabrikası, a large hazelnut processing facility is based in Giresun and the nearby streets are littered with shops displaying names like ‘Hazelnut World’ and ‘Hazelnut Castle’ selling products like hazelnut butter, chocolate coated hazelnuts and cookies and hazelnut baklava. Visit the city and you will be greeted by a grand statue of male and female hazelnut pickers standing back to back, with woven baskets laden with nuts strapped to their waists and hazelnut husks balanced on their heads, showing just how important the hazelnut is to the life of the city. Even the local folk songs are all about the country’s favourite nut, with one lyric declaring “I will not eat a single hazelnut unless you are by my side. Another tells of a lover shot dead under a hazelnut tree. Levant Quality is the name given to any Turkish hazelnut that is grown in the regions outside of the production area of Giresun. 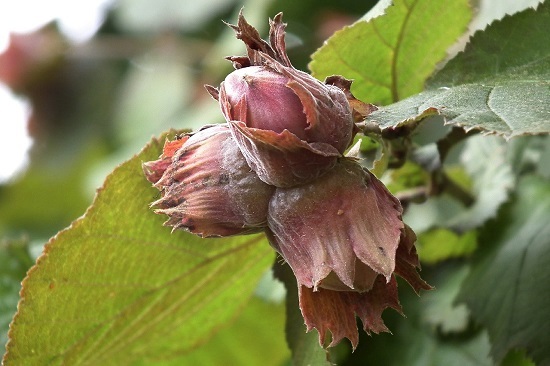 Levant hazelnuts can be found in areas such as Akçakoca, Trabzon, Samsun and the city of Ordu, another major centre of hazelnut production in Turkey. Other than the many fields around the city that are dedicated to growing the nut, local schools are named after top hazelnut producing families, college students research them at the local university, they are even fed to chickens to encourage breeding. The Golden Hazelnut Festival is also hosted in Ordu in September each year. 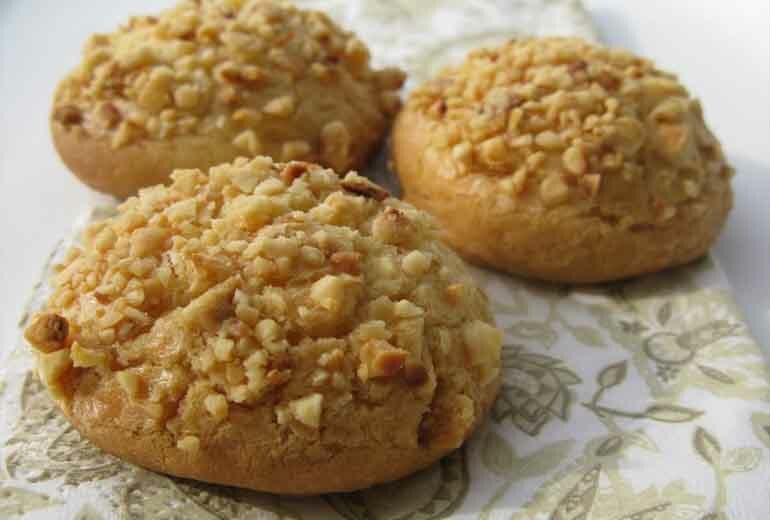 In Turkey and across the world, hazelnuts are used in confectionery to make praline, added to chocolate for truffles are added to alcohol and fermented to create the delicious Frangelico liqueur. Hazelnut oil is extremely strongly flavoured and is used as cooking oil to give cooked food that sweet nutty taste. 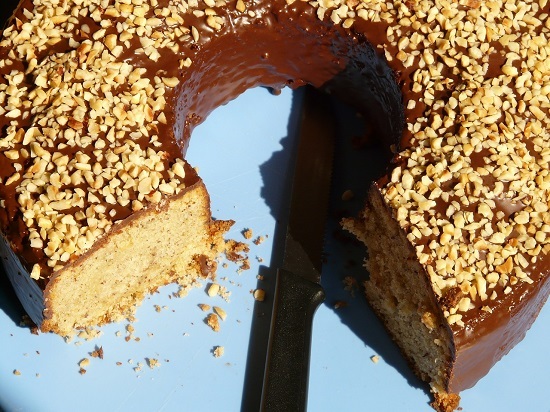 It was also the nut of choice for chocolate mogul Pietro Ferrero who created a chocolate hazelnut paste in 1946, adding hazelnuts to save money on chocolate. That paste famously became known as Nutella, which the world found on its shelves in 1964 and has now become a firm household favourite. Ferrero SpA, as the company is now known, also produces the famous spherical chocolate hazelnut sweet, Ferrero Rocher alongside Kinder Chocolate and TicTac. Three and a half billion Ferrero Rochers are sold each year in over 40 countries. With that success and the incredible reach of Nutella, it is no surprise that Ferrero SpA is now the world’s largest consumer of hazelnuts; in 2014, they bought 25% of global production. 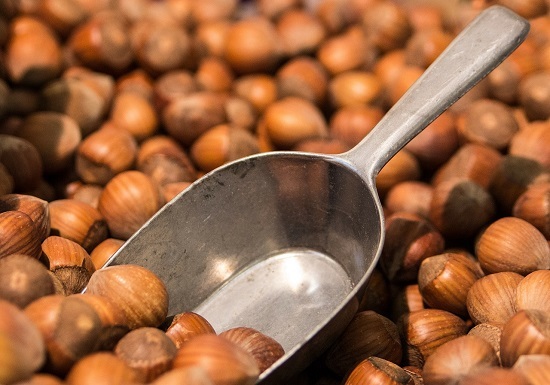 After Turkey suffered a harsh frost in 2013 and their annual hazelnut harvest suffered greatly, in 2014 Ferrero SpA acquired the Oltan Group in Trabzon, the world’s largest hazelnut supplier, in order to safeguard its supply. The Oltan group was originally a family run business and in 1991, they opened their first factory in Trabzon. Over $90,000,000 of investments have been made since 1990, making Oltan the largest exporter and processor of hazelnuts in Turkey and the world. They are the only Turkish processor fully approved by the five major European confectionary companies, Cadbury, Suchard, Mars, Nestle and of course Ferrero. So next time you find a hazelnut or two in your favourite chocolate or you cover your morning toast in Nutella, you can be sure that you are consuming some of the best hazelnuts in the world, straight from the fields of the Black Sea of Turkey. Another favourite for a light snack or for adding to sweet deserts is the pistachio, yet again made famous by Turkey. After Iran and the US, Turkey is the third most producer of pistachios, producing nearly 100,000 tonnes last year. 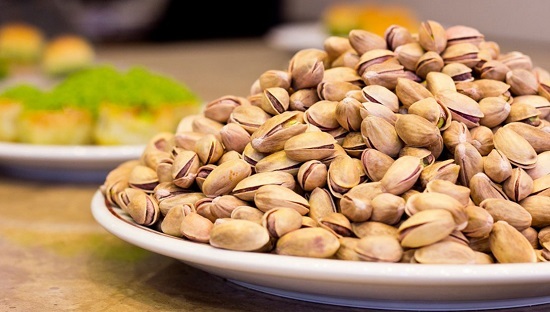 Turkey produces two types of pistachios; Antep, which are the small slim ones in brown shells from the area around Gaziantep, and the rounder, fatter nuts with pale beige shells which hail from Siirt. 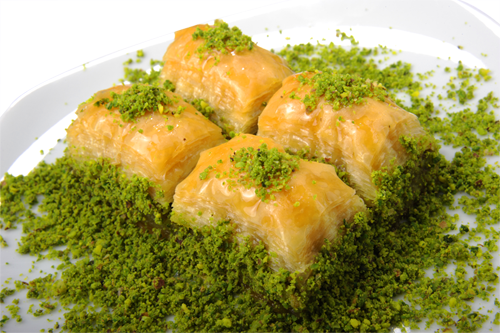 Antep pistachios are consumed both as a snack and as a major component in baklava and other sweets. The Siirt pistachios are mainly sold as a snack. Pistachio cultivation for sale and export began with the Ceylanpınar State Farm, on the border with Syria in Southeast Turkey, which was established in 1948 with 114 hectares of land. Today this farm has become an important area in pistachio research in Turkey and the total load area has now reached 10.7 million hectares, making it the biggest farm in the world. While they also cultivate wheat, cotton, lentils, sunflower, forage crops and corn at Ceylanpınar State Farm as well as farming cattle and sheep, it is the success of the simple pistachio which has led to its incredible growth. Turkey, being one of the most important producers of pistachio, continues to invest in plantations to satisfy the international domestic demand. The climatic conditions found in the southeastern part of Turkey, with hot, dry summers and moderately cool, short winters, are ideal growing conditions for pistachio trees but the most delicious are found in Gaziantep, the food capital of Turkey. Turkish pistachios have always been in demand in international markets as a result of their distinctive taste and aroma, which is known to be more intense. All over Europe, the sweet smell of roasting chestnuts is more than familiar around Christmas time and it is no different in Turkey during the winter. In fact, roasted and glazed chestnuts are one of the most popular street foods in the country’s big cities, Istanbul in particular. 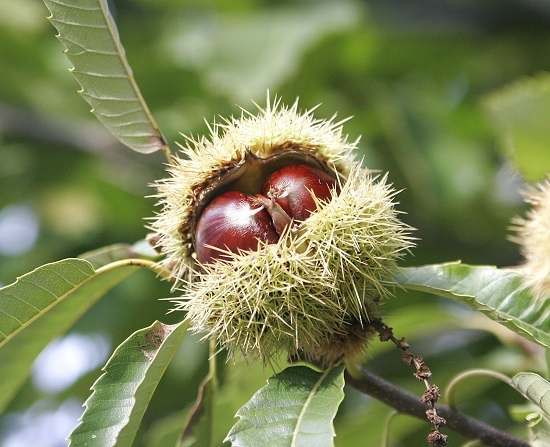 The Castanea sativa, or sweet chestnut is the variety which is grown in Turkey and they are mainly produced in the Aegean and Black Sea regions. The province of Bursa is particularly well known for its fine chestnut trees. Aydın, an area also renowned for its juicy figs is the most important province for chestnut productions, but other areas such as Izmir and Sinop also produce huge amounts each year. While the chestnuts themselves are exported to Europe and into Asia, they are also exported in processed forms such as cakes, sweets, purees and marmalade! The fruit of the chestnut ripens in October and November. After they have fallen to the ground, they are buried for a few days, after which the shell is easily removed, revealing the glossy nuts in their full splendour. 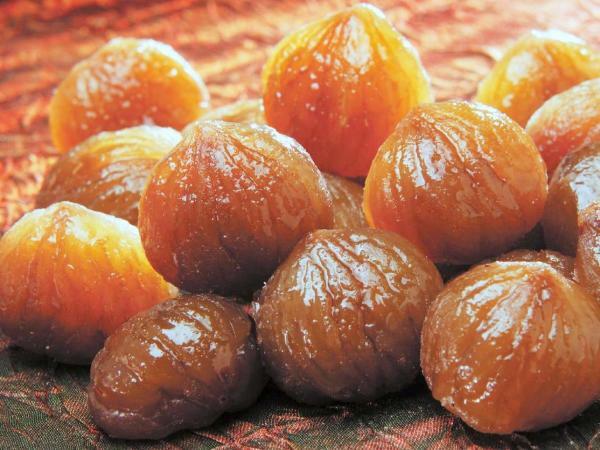 Candied chestnuts are a delicacy produced in large quantities in Bursa, placed in syrup and cooked over a low heat for a couple of hours. Candied chestnuts are incredibly easy to make. Just boil the chestnuts and de-shell them, then add the nuts to a hot sugar syrup with added lemon and vanilla, leaving them to simmer for about half an hour. Prepare a glaze of sugar in a separate pan and once the chestnuts are cooked in the syrup, remove them from the pan and dip them in the glaze before leaving them to cool on a wire rack. Enjoy! While the three kinds of nuts mentioned above are the most popular and successful varieties grown in Turkey, there are three others that are worthy of a mention and are absolutely worth a taste if you happen to be visiting Turkey. Walnuts are produced all over the country but are mostly consumed domestically. Enjoy them for their healthy attributes and their high omega-3 fatty acid content! Pine nuts of the Mediterranean region are a very popular ingredient, another used by the Romans and in ancient Middle Eastern civilisations and it is thanks to the Romans that Europeans and Americans even know about them! Lastly, two types of almonds are grown in Turkey, one sweet, one bitter. Muğla and Mersin Provinces are the main suppliers but you need to visit Datça to taste the best; like Giresun’s hazelnuts and Gaziantep’s pistachios, the Datça almond is internationally accepted as the best in the world.